Back to (relative) normal this week, as the snow is nearly all gone. I was going to talk about a book I read but would you be interested? Bookcloud? This is a short mix but it covers a LOT of ground. 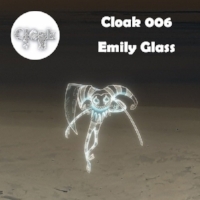 Emily Glass from Australia has put together something special for Chinese party/blog Cloak, and it's got everything from blissful ambient sounds to weird breaks and piano slams (something from the KNIVES/PAN axis I feel), Louie Vega and John Ciafone and finally some Rae Sremmurd. It's Mother's Day in Ireland and the UK this Sunday. I didn't know that it falls on the fourth Sunday in Lent each year. Anyway that may be unrelated to this release from Matt Christensen. It's sad and foggy and mournful, riven with guitar feedback and bleepy electronics. One to listen to as you reflect on your own relationship (or lack thereof) with your mother, at any time of year. This is a hugely fun mix from Melbourne's Jennifer Loveless. It's got lodas of thrilling house grooves, some Errorsmith, some DJ Rasoul, an utterly stonking version of Jaydee's 'Plastic Dreams' and loads of other low-key bangers I don't know. There's also a super-weird version of Kanye's Arthur Russell-sampling '30 Hours', with the lyrics spoken by some sort of text-to-speech configuration and that Russell snippet over digital bass. Full tracklist here if you're interested. This one is inspired by and takes samples from a favourite film of mine, Memories of Underdevelopment, a 1968 Cuban film that examines the life of a bourgeoisie writer who stays behind while his friends and family abandon the island. It includes spoken word samples as well as beats made out of typewriter taps. Like a lot of entries this week it's dubby, beatsy, interesting throughout. The act is from Mexico I'm told, and they've more music, including an album, coming on the label soon. I recently watched the BBC drama Requiem. Without giving too much away, upon her mother's death a woman visits a small town in Wales where two decades earlier a child had vanished. Things get spooky. It brings together the urban/ rural divide, the divide between this world and the next, demons both human and supernatural, and is captivating throughout. This is all aided by the music from Dominik Scherrer and Natasha Khan (aka Bat For Lashes), which combines classical tropes with eerie folkish lilts. I knew I'd be including this as soon as I saw it was out. This is from Space Afrika, purveyors of dark, dubby techno for late nights and tired minds. The blurb on Bandcamp (culled from Boomkat) calls them an ambient duo, but I think that's a bit reductive. Somewhere Decent To Live features drifting ambient fog, sure, but there's an underlying pulse and tension that lifts it into a different realm. Twilight, street lights, mist and uncertainty, spoken German samples adding confusion to non-speakers. Beyond / Below is a "deep listening mix series, focused around DJs and musicians based in/formed by the U.S. Midwest", that's run by Hi-Vis in Chicago. This is the second entry and it comes from Forest Management, who's also based in Chicago. It's gorgeously sublime, beautiful and serene but with moments of disquiet. I'm really excited to see where this series goes! VA - WEAPONISE YOUR SOUND VO. Finally, here's a compilation of gnarly tunes from previous guests on the NTS show DIET CLINIC. Released to mark International Women's Day yesterday, it's a varied beast of electronic sound, from dark ambient to pounding techno by way of sound art and weird rnb and pop. I'm most taken with Lokier's grinding 'Plastic Veins' and the sampled collage of 'Mindfuck' by Cynthia Spraggs. Proceeds go to Focus E15, which works to help women and families evicted in the wake of London's housing crisis.